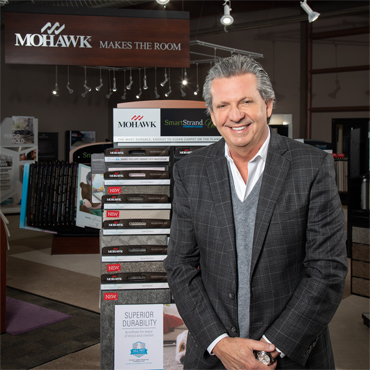 CALHOUN, Ga. January 3, 2019—Barrington Carpet & Flooring Design of Akron, Ohio has been named the 2018 Edge Retailer of the Year by Mohawk, the leading global manufacturer of flooring. 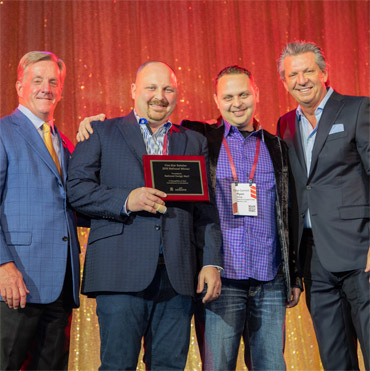 The award was presented to Craig Phillips, president and managing partner of Barrington, at Mohawk’s first Edge dealer convention in Orlando, Florida last month. Barrington’s level of commitment to customer satisfaction is exemplified by a survey program it implemented in 2008. 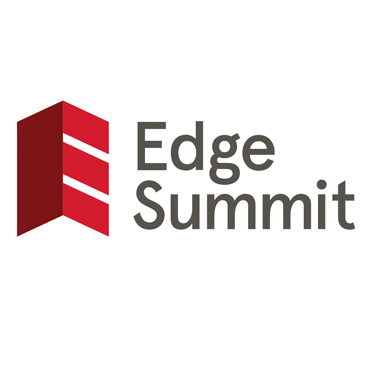 While yielding valuable insights – it revealed that 40% of its sales are from repeat customers and 32% from referrals – the survey also has proven to be a powerful marketing tool. 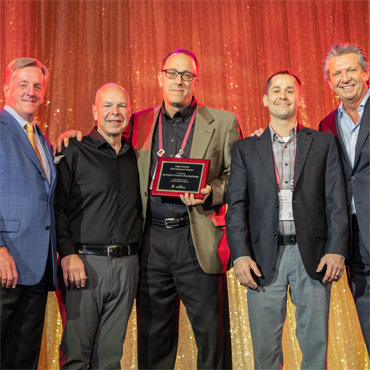 If responses do not meet the company’s exacting customer satisfaction standards, Barrington’s staff immediately finds out what needs to be corrected and improves the situation. One of its most effective in-store features is a jumbotron-like television display with a continuous loop of videos that help educate the customer on products and inspire purchase choices. 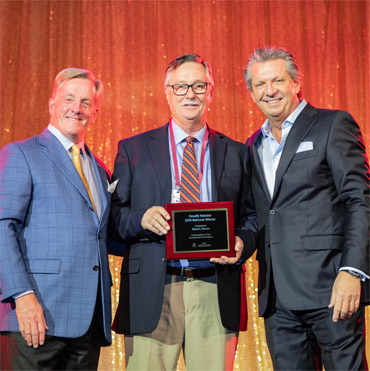 In addition, he acknowledged that Barrington’s dedication to supporting the local community helped to determine its Retailer of the Year win. A longtime advocate of Habitat for Humanity, one of Barrington’s proudest moments was full sponsorship of the organization’s 400th home built in Stark County, providing both materials and labor as the entire sales team pitched in while Mohawk reps covered the store for the day. For more information on Barrington Carpet & Flooring Design, visit barringtonflooring.com. 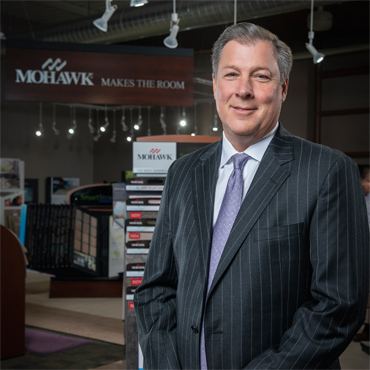 To learn more about Mohawk and its products, visit mohawkflooring.com.